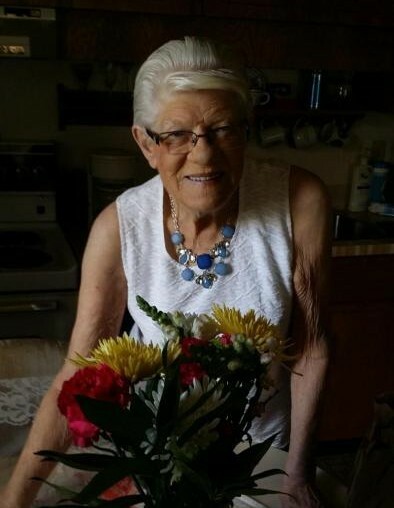 On Wednesday, March 28th 2018 Mrs. Betty Gruntman of Bashaw passed away at the age of 83 years. 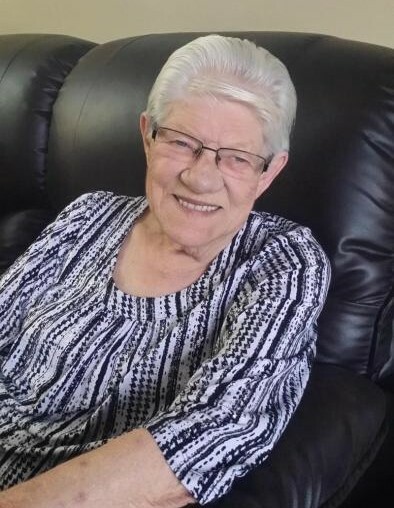 She will be sadly missed and lovingly remembered by her one son Darryl (Janice) Gruntman of Sherwood Park; two daughters Denise Solverson of Blackfalds and Kari Braseth (Leon) of Bashaw; son-in-law Peter Towpich (Adele) of Bashaw; 13 grandchildren; 9 great-grandchildren; and by her brothers Irvin (Jean), Cliff, Dave, and Bev (Donna). She was predeceased by husband Bert; daughter Twylene Towpich; and brothers Bernie, Con, and Leo. A Celebration of Life will be held on Friday, April 27th at 2:00 p.m. in Bashaw at the Bashaw United Church with Reverend Robin King officiating.